Critics of American health care often ask why ours is the only highly developed country without a taxpayer-funded universal health-care system. It is a question meant to answer itself: There is no good reason, so the U.S. should fall in line with European financing methods. That is the view of advocates of “Medicare For All,” a proposal backed by most House Democrats. But the question deserves more than a rhetorical response. Health care is financed differently in the United States because it evolved differently. Private arrangements among hospitals, doctors, employers, and labor unions to finance medical insurance developed and matured over the course of decades, abetted by government policy that treats employer-sponsored health benefits differently than wages for tax purposes. That generally did not happen in Europe. The American approach offers several advantages that often are overlooked. First, instead of taxing workers and using the proceeds to finance their medical care, the U.S. government exempts employer-sponsored insurance (ESI) from taxation, a benefit estimated to have been worth $348 billion in 2016. That preferential tax treatment leveraged nearly $3 in private health-insurance spending for every $1 in forgone federal revenue (based on ESI insurance premiums totaling $991 billion that year) while insuring 173 million Americans. Supplanting it would require the government to fill a $643 billion hole through taxes, borrowing, and unspecified reductions in spending. Second, private insurers pay rates for medical care that offset the negative margins hospitals incur when they treat patients on public programs. Medicare and Medicaid paid hospitals 40 percent less than private insurers did in 2016. Physician reimbursement under both programs also substantially lags private rates. Paying providers at government rates, which the Medicare for All bill proposes, could have potentially grave consequences, straining the capacity of doctors, hospitals, and other providers to deliver quality care. Workers with ESI thus fund their own insurance at steeply discounted rates to the federal government, largely finance public coverage through their income and payroll taxes, and help sustain the medical infrastructure for all Americans. Medicare for All advocates argue that government would allocate medical goods and services more efficiently than do our current financing arrangements. But government, which accounts for the majority of health-care spending already, has not demonstrated such a proclivity. 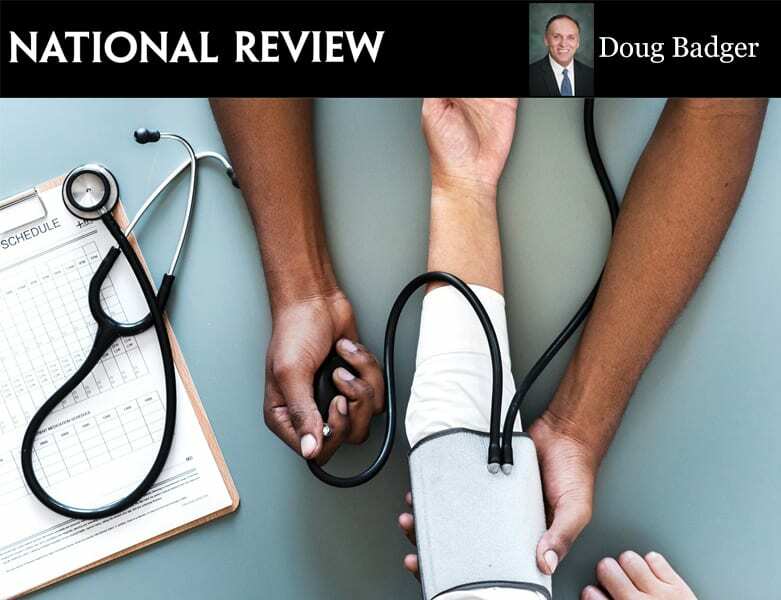 Through more than half a century and waves of reform, efforts by the U.S. government to extract greater value from the health-care system have fallen short. Scores of Medicare demonstration projects and endless iterations of payment methodologies have had little impact on Medicare spending. None has diverted the program from its path toward insolvency. Perhaps conferring plenary control over $3 to $4 trillion in medical spending on a small group of public employees will produce a system that functions with something approximating perfect efficiency. To achieve this, policymakers have first to devise a budget that allocates the resources necessary to provide medical care to all Americans — not so much as to subsidize inefficiency but not so little as to create shortages — and then distribute the money correctly and muster the political will to enforce that budget. Replacing ESI with a system of this sort is a leap into the darkness, given government’s sorry record of managing existing programs. That is not to say that ESI is without flaws. It insulates workers from the true cost of their health insurance and medical care. Its preferential tax treatment does not extend to nongroup insurance or to out-of-pocket medical costs. And while ESI is a valuable tool to attract and retain employees, tying health coverage to a job can hamper worker mobility. But replacing it with a government-financed system would exchange these problems for potentially much larger ones. It may very well be that the health-care financing systems in other countries are superior to ours. Coverage is virtually universal, per-capita costs lower, and, at least by some measures (e.g., life expectancy at birth), outcomes better. Even if we were to concede those points, it does not follow that adopting a financing system similar to those of other countries would produce similar results. Planting a government-financed health-care system requires uprooting another, one that has grown, adapted, and evolved over decades. Policymakers should carefully weigh the implications of such a change, not merely for the public fisc, but for a health-care system that has long relied on employment-based insurance.